Randal is a Principal at OneAccord where he helps CEOs and boards achieve healthy leadership structures and higher levels of strategic alignment, especially in times of transition or succession. Previously, Randal was a key leader for more than 25 years in a corporate environment known for its disruptive and innovative achievements. He was also a senior consultant at Design Group International. 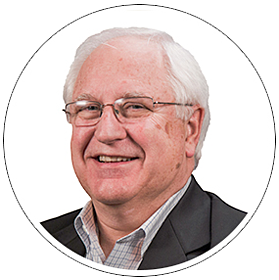 As an ordained minister, Randal has also provided servant leadership to churches and mission operations in more than 70 countries in his position as director of missions with the Worldwide Church of God. In 2012, he earned a doctorate in intercultural studies from Fuller Theological Seminary. He remains an ordained minister of Grace Communion International. In his spare time, Randal enjoys photography, fishing, short-term futures trading, international travel, reading, cooking, and coffee shops.